Just recently, my favorite local columnist Ann Bennett referred to these days as the “dog days of August”. Yes folks, we have officially arrived in the “dog days of August”. Here, in the Valley that means just when you were thinking “July seems a little slow…,” August comes in like a Lion! In the service industry, we say, “in the weeds”. In cycling we call it “head down”. In skiing it’s, “knee deep”, and in the beauty industry we call it a “hot mess.” Whatever you call it the MWV has officially arrived, and so has New York, Massachusetts, Rhode Island, Connecticut, all of Canada, and some Pennsylvania! This month’s newsletter is a tribute to all of the people that are part of that workforce. As a community we pull together, in spite of what everyday life throws at each one of us to deliver a product – that is a collective experience that people want to return to time and again. The mountains are an escape from each visitor’s own “dog days”. We are just lucky enough to live here. So “head down” until October 9th when that ship has sailed. At Debony Salon we will be busy making people beautiful. If you can steal a minute, come in. We’ll pamper you we promise. 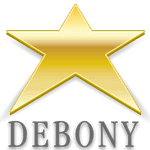 PreviousPrevious post:Are You Debony Salon’s Next Apprentice? !NextNext post:Beauty School 101 – Transformation Edition!